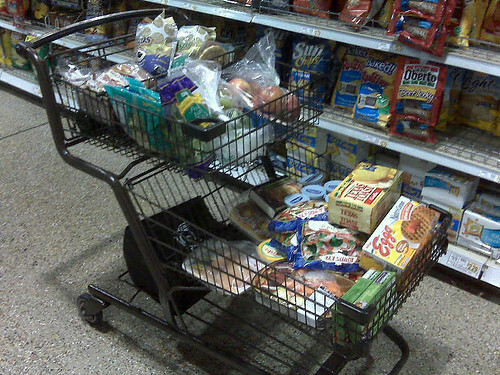 Fancy Carts, originally uploaded by punquin. We went grocery shopping at Wegman’s tonight, and they’ve changed all their shopping carts to these. They also have ones with a shorter bottom row. They are neat, but I had a hard time going around corners. I felt like I was gonna take out someone’s knees!